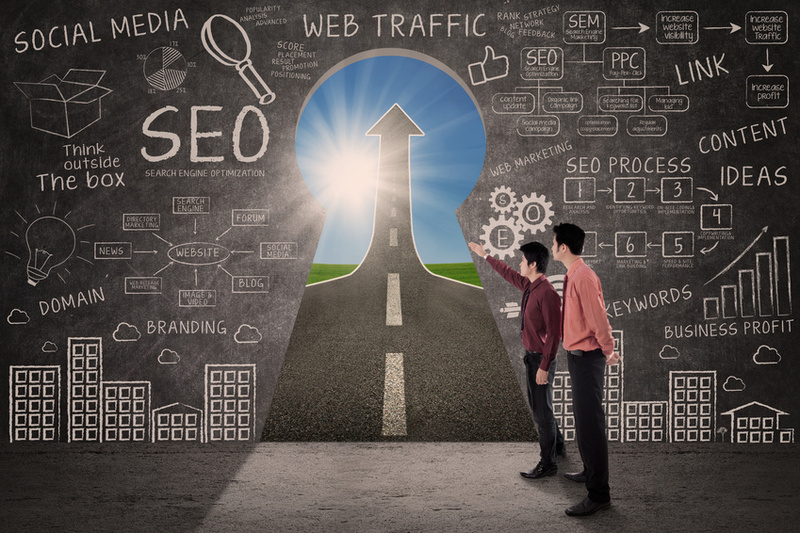 The amount a company spends on SEO consulting costs has been largely debated, but we can all agree that the way SEO used to work is different than it works now. Google, and other search engines, are constantly updating their algorithms to get the most relevant sites higher on their search results. In order to keep your website resilient through all of their updates, you have to look at how your money is being spent. Today's video covers the pricing of SEO and why you should spend more on SEO. Hello, and welcome to our video today, where we're going to be talking about, why you should spend more on SEO. I'm Chad Hill, and I have Adam Stetzer with me. Good afternoon, Chad. Everybody's always trying to benchmark what the appropriate amount of prices for SEO are. They do this for PPC and social media as well. But today, I want to focus in on SEO. I think it's a tough debate, because there's so many different levels at which you can do SEO. People talk about, should I buy a $300 SEO consulting cost package per month? Should I spend $5,000 per month? And then you've got those bottom basement bargain hunters looking for the $50 SEO cost package, which we know is a myth. So rather than get lost in that debate, which is probably somewhat unanswerable, I thought today we could get into why you should spend more on SEO than you used to. Because it's clear the SEO cost game's changing, and that probably demands a higher budget. Yeah, definitely. I think I have a few reasons that I want to talk about on that, and we can go back and forth on it. But the first one is, because basically you've gotten a warning from Google that says you're currently doing low quality SEO link building and you need to update and change that practice. So what that usually means is that, as Adam said, the $50 deal that you've had-- or whatever it might have been-- is really not effective. You're being warned by Google. You need to increase the quality, which is going to cost more money. The first reason for why you should spend more on SEO is basically Google told you to, which is fascinating. But people might laugh, but there's guys out there who still buy Comment Kahuna-- I'm just picking one of those crazy products. Everybody knows about these. They're $97, or $147. And they're pretty much spam machines and people use them to build backlinks. So those folks, buyer beware. They shouldn't have done that. And they've gotten a direct communication. Google is much more communicative than it used to be, sending out Webmaster Tool updates. But I think even people who have not gotten an unnatural link warning-- or any sort of penalty warning, or a thin content warning, probably need to realize Google is talking to them too. They're talking through their PR and through Matt Cutts. I know it's very popular to discount that, because a lot of those messages are very self-serving for Google. But Google is the big guy on the playground, so we do need to listen. Right. And I think along those same lines, another reason for why you should spend more on SEO is because you are recovering from an update-- a Google algorithm update-- that impacted your rankings. Usually what that means is that links and backlinks that were supporting your rankings have been devalued. And so what that means is that you really need to rebuild what you had before to try to get back to the rankings you had. And you have to do that in a higher quality way, which means you need to spend more money on SEO. And another way to look at that is the insurance model. Even if you're not recovering from a hit in the most recent algorithm updates, you want to be building towards your future on a very strong foundation. So spend more now on SEO consulting costs, and you won't need to do a massive recovery effort, or have the opportunity cost of lost leads. You start to really understand how SEO impacts your lead flow and your sales, and your revenue. You realize it's very disruptive, very costly. So a little bit spent up front to be higher quality means you will not have that very destructive, or possibly catastrophic, spend later when you try to recover. Right. And now, another reason to consider how much should SEO cost is that SEO really has merged with marketing. And this has been something we've talked about for quite a while. But it used to be that you went out, and you just did SEO as a standalone service inside your market. Usually as part of the technology group. Now, a lot of SEO, especially with content marketing, and putting out great content, and tracking those links, and syndicating content out. It's now a marketing function. You need to figure out how you incorporate that across the board. So if you weren't doing marketing before, and you were just doing SEO, now you need to be doing real marketing. And real marketing costs more money. So that means you're going to be spending more money on SEO. So the days of SEO as a technical exercise-- to tune the code and be a geeky thing that happens on your website only-- are really over. As many people have realized, that the lines are bleeding. And we've got some great creative ideas. Infographics, and viral spread, and social sharing, and videos that are either funny or are using your employees in creative ways to share content. These are all excellent opportunities. Most companies have this in their company already as an opportunity. They could have employees sharing an infographic, or a video. Something related to the industry. But they don't capitalize on that because they've got things siloed. Break down those barriers. I think smart CEOs see that SEO consulting costs is strategic in this digital world we live in. And they're starting to increase that budget on SEO costs, so that the opportunities that exist in the departments can be leveraged today. Exactly. And then the final thing to think about is that SEO has historically had a fantastic ROI. It still does. I think in a lot of cases, what people have done is they probably have under-invested in SEO. They've spent the initial dollars, and for years and years, they've seen a very high ROI on SEO. Now what's happening is that it's time to probably spend more to make sure that you're investing in the channel SEO that's having good results for you. So you probably need to spend more on SEO in order to really continue to get those good benefits from online marketing and SEO. The cherry on the cake-- I know people don't like to see that they've spent more for the same thing they got last year. But we hear that in PPC as well. But the reality is, some costs and budgets from previous years really can't be used to drive your business forward. You need to look at what you can get for your money. And SEO remains a very high return on investment. So it warrants a higher budget line item to capture that business.